Eduardo Nunez is the best player in the history of the Boston Red Sox organization. That’s not an opinion or hyperbolic in any way, it’s just an undeniable fact. Since making his debut on July 28th, Nunez has appeared in 10 games with the Sox, hitting .400/.429/.800 with a 1.229 OPS. In that stretch, he’s also posted a .400 ISO and a .506 wOBA, and I only tell you this because I wanted to find a way to fit every absurd stat I could find about him into the first paragraph. More than anything, this is just a well-timed hot streak from Nunez, who’s generally a pretty streaky hitter. But this particular streak couldn’t have come at a better time, and it’s always a blast to see a deadline acquisition play up to – or in this case, better – than expectations. When the Sox were attached to the likes of Todd Frazier, Adrian Beltre, and even Manny Machado for those 36 weird hours, coming away with Nunez as the only bat was underwhelming. That’s a pretty steady climb, even if the final destination is still considered mediocrity. 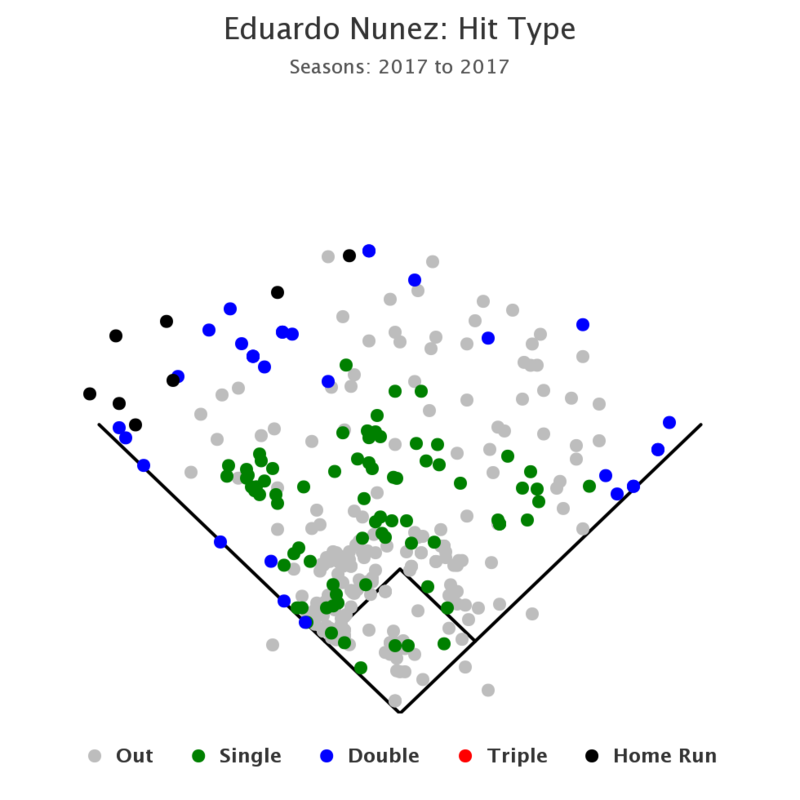 In his time with the Sox, Nunez’s hard-hit rate is up at 40 percent, which is clearly unsustainable but no less enjoyable. 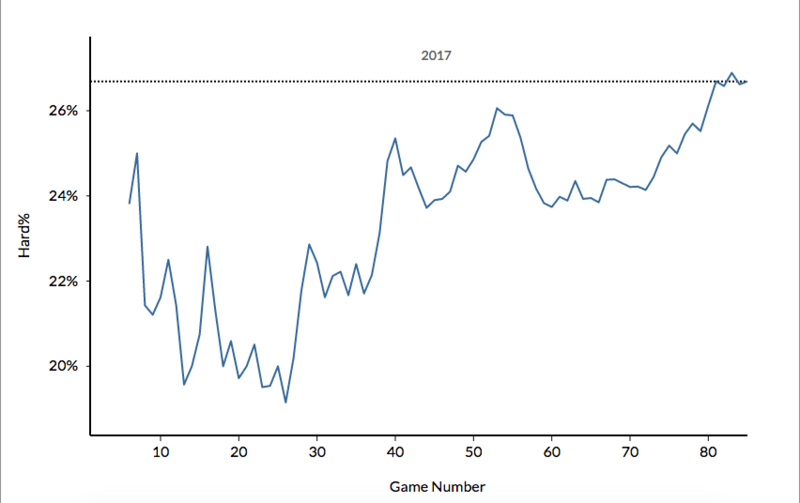 For the “Well He’s Probably Just Getting Lucky” crowd, Nunez’s BABIP during his Boston tenure sits at .387, which is a bit higher than his time in San Francisco (.328), but not dramatically. 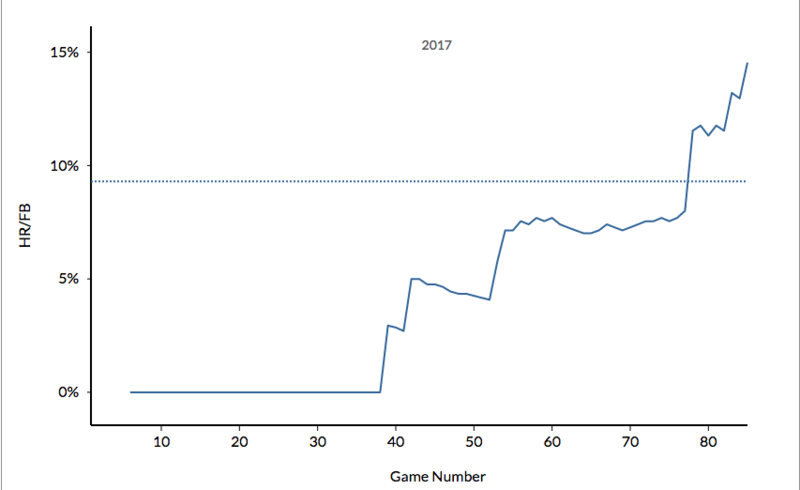 In fact, one could probably argue that such a sharp increase in hard contact would result in an even higher BABIP than the one he’s currently holding. While the power is nice, in the end, his versatility as an every day option will end up being his greatest contribution. Giving Xander Bogaerts or Dustin Pedroia that Sunday afternoon off, or occasionally spelling Devers when pitchers figure him out is why the team brought traded for him in the first place. 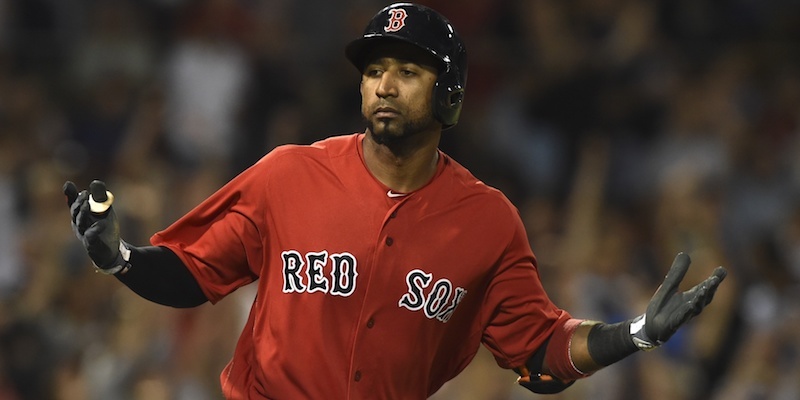 Who knows how long he’s a viable option to hit clean up, but the Red Sox are getting the best Eduardo Nunez that Eduardo Nunez can offer, and that’s all you can ask for from deadline deals. The Red Seat, Episode 48: Turning Point!